I really enjoy keeping track of the books I read over the course of the year and then looking back over them when the year is over. This year I kept track on Goodreads, and I could just link you to this handy page that shows the covers and information about all the books I read this year. But a list is more fun, right? I like it anyway, because I don't really keep track of how many books I'm reading, and I find out when I get the list put together. So, here we go - all the books I read (and listened to) this year - listed by the month I finished reading them. 42 books - that's one more than I read in 2012. At least three of these books were quite long because I finally started reading the Song of Ice and Fire series by George R.R. Martin. Those books are hard to put down! I was getting them from the library, but when I found the 5 book 'boxed set' for Kindle for $9.99, I couldn't resist buying it. After finishing #3, I took a short break to read other books, but I'll definitely be reading the other 2 in 2014. I'm also most of the way through another Bible reading plan, with just about another week to finish - so I technically read that in 2013, but I'll count it in 2014 since that's when I'll actually finish (and start again). I love those YouVersion reading plans! 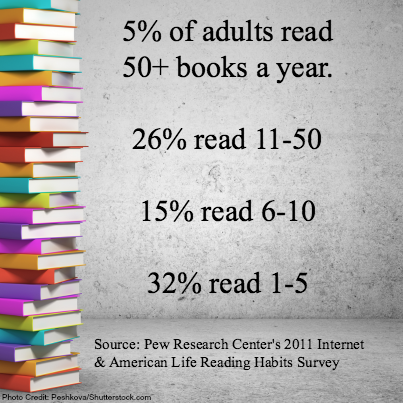 How many books did you read in 2013? 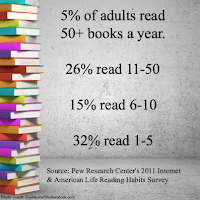 Are there any I should add to my reading list for 2014?